So far I've told you guys about my tour through Amman and to Ajlun and Jerash. 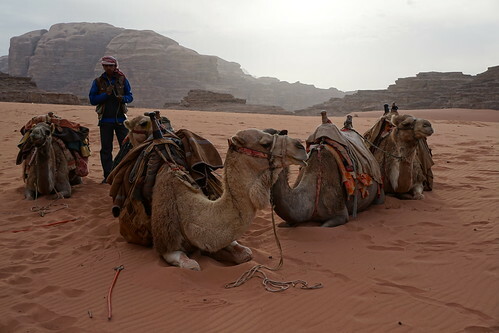 On the third day of the Travel Talk Tours' Essential Jordan Tour, we left our hotel in Amman and headed to Wadi Rum! On this day we are joined by a second group who is doing the longer Egypt and Jordan tour. There was some change from the regular itinerary, since the political climate meant people were having more issues crossing the land border, so the group coming from Egypt was now coming by ferry and our guide / bus need to pick them up in Aqaba. The change ended up good and bad for us, in my opinion. On the bad part, originally they were going to have us go to Aqaba too, but that was an extra few hours drive for our group for not doing much. 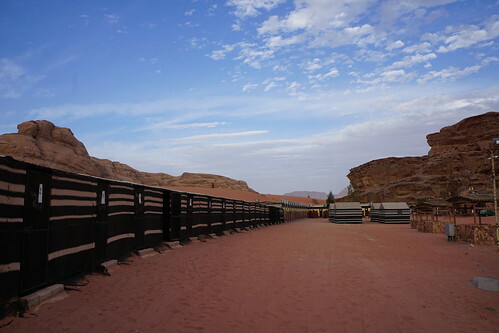 Instead, we got dropped off at our Wadi Rum camp, Hillawi (Sand Rose) Camp. The original itinerary says we were supposed to get lunch included in the camp that day, but with the changed schedule we arrived only after lunch. This was kind of a sticking point for us as well, as there was nothing going on that morning. We could've been picked up earlier and arrived in time for lunch. Oh well. 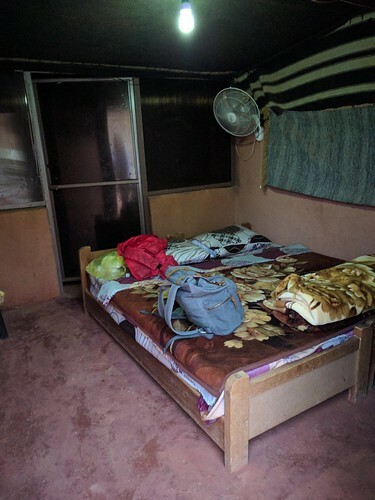 The rooms at the desert camp is pretty basic, but it has what you need. Wall outlets to charge your phones, en-suite bathroom with toilet and running water. There's no hot water in the private bathrooms, although supposedly there's hot water in the communal shower area. Since we were only there one night, I'm pretty sure everyone skipped the shower :P.
Even though there's no hot water, there's pretty good wi-fi, especially in the dining area. I was there in December, so the nights can get pretty chilly. I had to use all the blankets and slept with socks and my sweater on, but it was manageable. Just a warning to pack appropriately. Anyway, while our guide and bus driver went to Aqaba, we settled in and was given the option to take a short camel ride through the desert. This was an extra 10 JD (about $15) and everyone in the group took it. 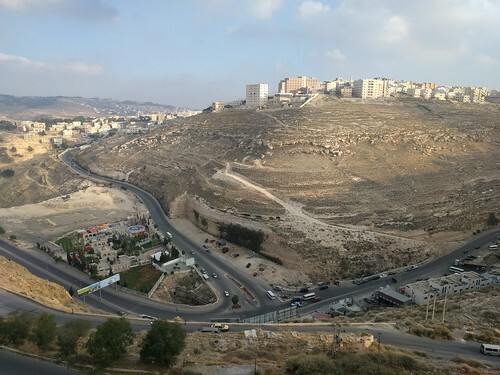 On the first full day of my Essential Jordan tour with Travel Talk Tours, we visited Ajlun and Jerash and then returned to our hotel in Amman in the evening. The tour guide picked us up at our hotel in Amman. We had the same tour bus, driver, and guide throughout the trip. The bus was a bit old, but it does have wifi! 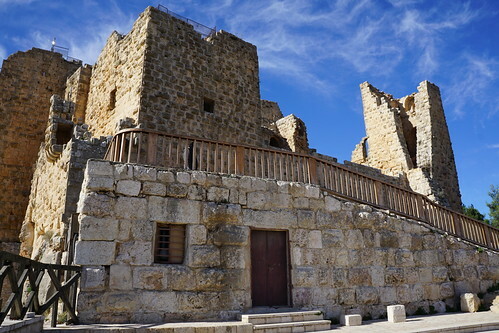 The first stop was Ajloun (Ajlun) to visit a 12th century Muslim castle that sits on top of a hill in Jabal Ajlun (Mount Ajlun) district. When we got off the bus there was a guy selling hot mint tea for 1 JD. 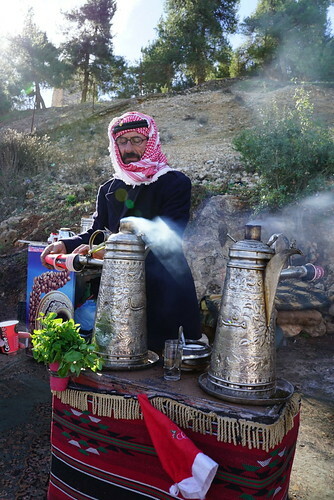 December in Jordan is a bit chilly (40-50 Fahrenheit) and Ajlun being at the top of a hill was a bit windy, so it was nice to hold a hot cup of tea in my hands, although the tea itself was a bit too strong and bitter for my taste (the tea at Hesham Restaurant in Amman was much better). 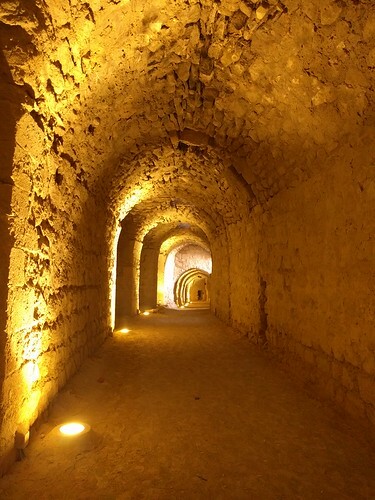 Ajloun Castle was a Muslim castle, but it was in fact built on top of the ruins of a Byzantine church, and you can see remnants of this as you tour the castle. 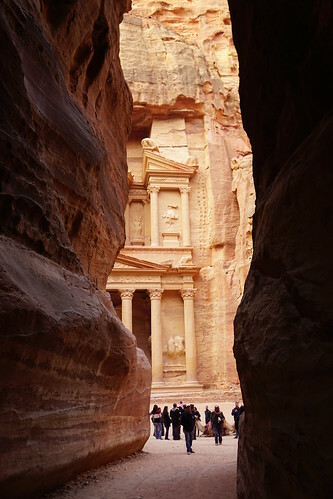 Last Christmas holiday, I took a tour with Travel Talk Tours to Jordan, to tick one off my bucket list item: to see Petra! I chose Travel Talk because the dates worked perfectly with the Christmas holiday at work, and it was cheap. Travel Talk frequently has deals (including 50% off last minute tours right now). 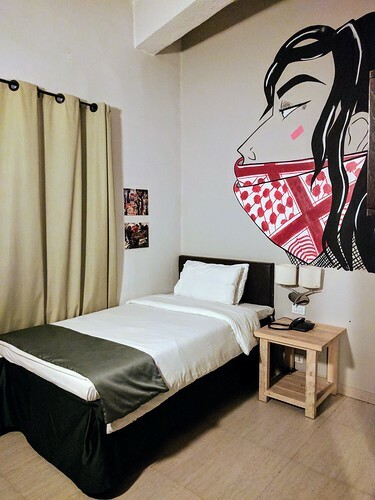 The base price I paid was $599, although there is an additional local payment of £160 (approximately $215) that you pay on the first day of the tour. 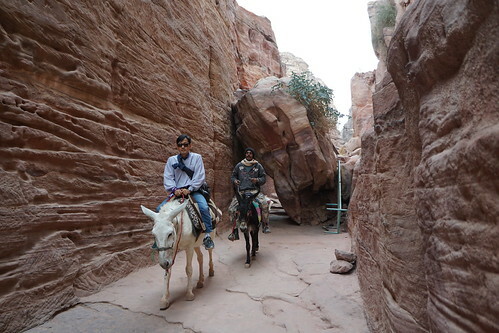 The price also doesn't include entrance fees to the attractions, but you can get a Jordan pass for about $100 that also includes the Jordan visa fee, so that's not too bad. 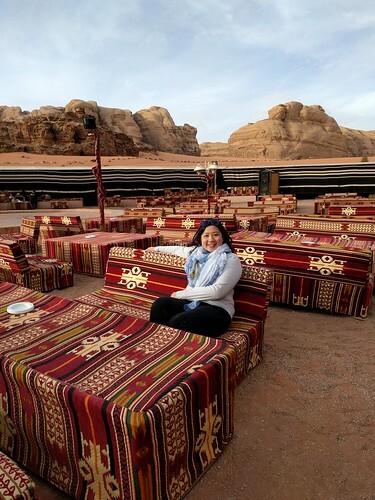 The Essential Jordan tour with Travel Talk is a 7 day tour that takes you to some sites in Amman (the citadel and the Roman theatre), Jerash, Ajloun, Wadi Rum desert, Petra, Dead Sea, and Kerak Caste. Since talking about the whole tour in one post would be too long, I'll be dividing it up into parts! 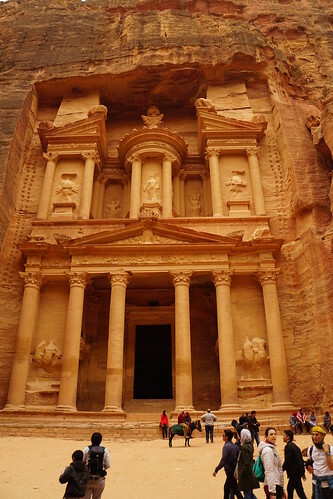 First is the part surrounding Amman, the capital of Jordan and where you will be flying into. The room was good. It was clean, there was wifi and enough power outlets. The top mattress pad kind of slides though, and if you have a room facing the street, be warned that it will get rather noisy when traffic starts up in the morning! All the Travel Talk hotels provide free breakfast. Here, it's primarily falafel and hummus. Most of the other meals are not included in the tour, though, which was fine with me. I like going out for food on my own anyway so I can choose exactly where I want to eat. 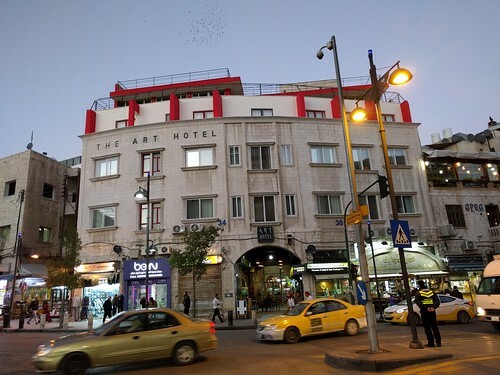 The best thing about the hotel for me was the proximity to a few great restaurants in Amman! I first had fresh kunafeh at Kareem's in Watertown, MA and fell in love. 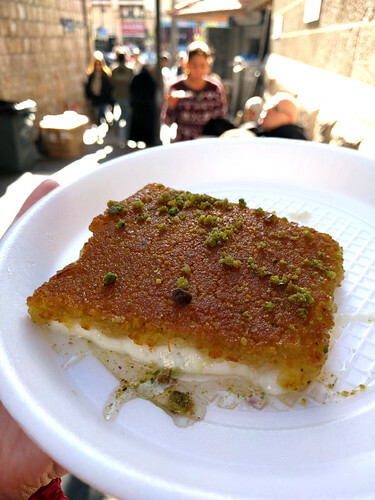 Naturally as soon as I woke up, I headed to the most famous kanafe / kunafa shop in Amman, Habibah Sweets. It's a tiny take-out only place on an alleyway in downtown Amman, right near the hotel.